Backyard vegetable gardening has of late been given an incentive which will last for many years. Fresh vegetables from a home garden are not subjected to exposure in transportation, warehouses or store shelves and are not compromised in any way. Many garden produce lose their characteristic flavor when not used within a few hours after gathering. With a backyard vegetable garden, the growing of vegetables for the family is the best way for clean, fresh produce to be served. In planning vegetable garden layout, there are several ways to use your computer or iPad apps to plot, space and rotate crops. The great advantage of an online vegetable garden planner is that you can quickly create a color plan with 3-D views and you have the ability to make instant changes. Whether you favor traditional row planting, raised beds or Square Foot Gardening, there is free trial vegetable gardening software to suit your gardening style. Many have taken up gardening because of the pleasure they find in the work and the superior quality of the vegetables which they are able to produce. Thousands of people never knew the real flavor of sweet corn, garden peas and string beans, when at their best, until they began to grow them in a backyard vegetable garden. Certain it is that thousands of people who have learned the advantages of a home vegetable garden will never be content again to eat the stale and withered produce which comes from the stores. The first step in vegetable gardening layout is the drawing of a plan within the allocated space. It is especially necessary that the garden be plotted in such a way that there will be no waste, either of seed or produce. With an online garden planner such as Better Homes & Gardens Plan-a-Garden it easy to create a vegetable garden layout plan. You can design your garden efficiently by arranging the vegetable beds, adding plants and moving them around directly on your computer or iPad. The year for garden work really has no beginning and no end, but by utilizing backyard vegetable garden software you can efficiently organize a vegetable gardening layout. It is well for the backyard gardener to decide how much ground they can care for before they begin the season's work. It is a great mistake to have the garden too large. A small plot well-tilled is much better than a big one neglected. A person who cannot count on more than two hours a day should not plan a garden which measures much more than 50 by 50 feet. The GrowVeg.com Garden Planner shows how much space plants require and how to group them for maximum success, removing the need to look up planting distances and crop families. There is a free trial online. No one with a full-time job can expect to devote more than two hours a day, on the average, to their garden. That will probably mean giving all of their Saturday afternoons to the work, because there will be many mornings or evenings when it will be impossible to work in the garden because of rain. The bulk of the backyard vegetable garden area should be devoted to what may be termed the essential crops — that is to say, those which contain the greatest amount of food value. In this list are peas, beans, corn, spinach, beets, carrots, parsnips, turnips, cabbages and tomatoes. It is well to figure out roughly the amount which will be needed of each kind, and to plan accordingly. All the root crops can be stored for winter use, and an extra amount of seed should be planted with that purpose in view. 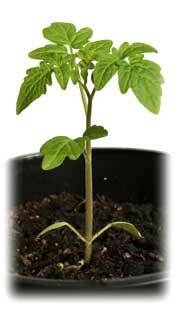 Tomatoes and other vegetables can be canned for winter, so that a surplus will not be wasted. The free trial of the KGI Garden Planner makes it simple to create plans, print customized planting calendars and rotate crops from year to year in your backyard vegetable garden plan. This online vegetable garden software warns you where you should avoid placing each vegetable based on what was in your previous years' plans and send email reminders of when to sow and plant each of your vegetables. Do you struggle to remember when to plant all your different vegetable and herbs? Don't remember if a frost will kill your vegetables or not? 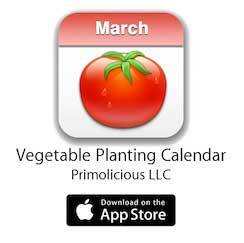 The Vegetable Planting Calendar app for your iPad will come to your rescue! This free backyard vegetable garden app covers over 90 vegetables and herbs. For each one you are told if it can handle a hard frost, can handle a light frost, can handle moderate summer heat, or can handle high summer heat. This free garden planner app is a great way to plan out your vegetable garden and insure you aren't planting your vegetables too early or too late in the year.